The only reason I chose to see Dr Gurney was based off the reviews on here and mainly because he hasYEARS of experience. I would rather see someone who is very experienced and can take a quick look at your issue and find the solution. The only reason I chose to see Dr Gurney was based off the reviews on here and mainly because he has YEARS of experience. I would rather see someone who isvery experienced and can take a quick look at your issue and find the solution. Dr. Gurney is one of the few doctors that still talks to you to find out your history and how you’refeeling before ordering tons of tests for no reason! Dr. Ronald Gurney is a skilled internist and gastroenterologist serving the community of McLean, VA. Dr. Gurney attended the State University of New York, Downstate Medical Center, where he received his medical degree. He then went on to completed his residency in internal medicine at Albert Einstein Medical Center. Further, he got fellowship trained in gastroenterology at Washington Hospital Center. Dr. Gurney is available for exams and consultations at his private clinic and also works in affiliation with Reston Hospital Center. He is a board certified by the American Board of Internal Medicine with a focus on gastroenterology. Patients visit him for a wide spectrum of common and specialized medical needs, including stomach ulcer, narrow stomach/intestine passage, fatty liver disease, ulcerative colitis, and Crohn's disease. 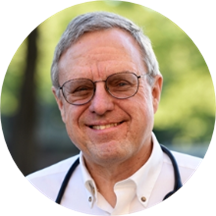 Dr. Gurney majorly focuses on preventive health care and treats patients in a structured manner, focusing not just on the ailment but also on the general wellbeing of the patient. He is a dedicated provider who carefully listens to his patients and provides sound advice that would benefit them. First time seeing this doctor. He is old school and a dying breed: a doctor who takes the time to listen and explain, putting my mind at ease. Too often I see doctors who see me for less than 5 minutes.He has a lot of experience and that shows. I came in for a quick check-up and the doctor was able to answer all my questions and provide the referral that I needed. He seemed knowledgeable when answering my questions. Though he did seem a bit dismissive about my concernsat first, he still cared about providing me with answers. The receptionist was also very friendly and accommodating. Overall great experience. Dr Gurney was awesome, this was my first visit with him and I'll admit I was very skeptical I would receive a solution to my health issues from a gastro. Dr Gurney has an outdated picture but this old man hasenergy and aggression towards getting you better unlike man of the doctors I have seen to date. As soon as we began to talk I realized he is different from other doctors because he isn't concerned with the latest drug trends and actually gives you the time to explain everything about your situation. My appointment was at 2:15pm, I checked in and was in a room with Dr Gurney within 5 minutes, I didn't leave until 3:15pm. Dr Gurney allowed me to explain my issues and allowed me to comment on his theories about my situation. Instead of making assumptions and sending you home with a pill he tries to link symptoms together to see if there's a cause and effect, if there isn't he doesn't pursue that diagnosis. I'm very judgmental and stubborn when it comes to picking a doctor, I have spent lots of $$$ and time trying to figure out my health issues but I felt my visit with Dr Gurney was valuable. I will update this when I have my results back in a week to see if his diagnosis was correct. Great office with very nice staff. I was late but they got me in as soon as they could - not more than 10 minutes. The doctor was kind, understanding, and seemed like a real expert in his field. I amconfident that he will help me get to the bottom of my issues. I would recommend him to a friend. This doc has good availability so we able to get in the next morning for a pressing non emergency issue. The doc was very friendly and helpful and gave tips to resolving the issue. He clarified why we were having certainissues and what to do in the long term and short term to resolve the issues. The reception was also very nice, friendly and helpful. Both Dr. Gurney and his staff are professional and friendly. Dr. Gurney has great bedside manner, listens well, doesn't rush the appointment and is thorough with his explanations. I never felt like I was being lectured or that he tuned me out.